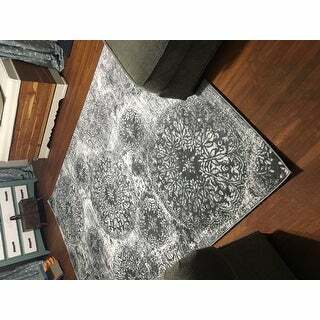 Versatile and durable, this polypropylene area rug is stain and fade resistant for lasting style. The ivory pile is decorated with a graphic medallion print to enliven your vintage decor. Choose from 10 colors and a variety of sizes to fit your space. 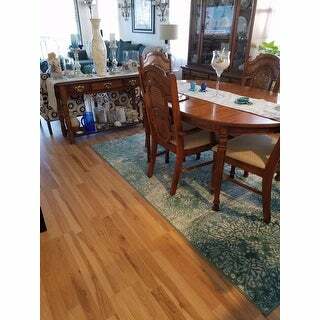 Used under dining room table..easy to clean and stain resistant...very beautiful! Awesome rug. It was true to size, shape,and color. The rug is extremely soft and easy to keep clean and vacuum, no shedding like some rugs. It was very affordable for the size and arrived quickly as do almost all of my overstock orders! I love my new sofia area rug. It arrived in less than a week and looks just like the picture. The color blue is exactly what I needed to brighten the room. The fibers are thick and feel nice on my feet. I would definitely recommend this rug. 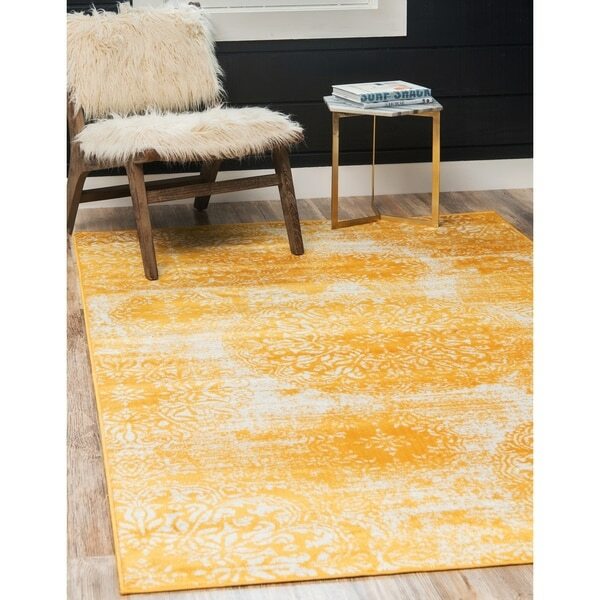 Overstock is where I have purchased my last 4 rugs for my home. Perfect size, color, and price. We purchased this rug to go under our king bed in the master bedroom. Its perfect size allows adequate walking surface around the entire perimeter of the bed on three sides. It came rolled around a long cardboard tube, much like a thick wrapping paper tube, which put noticeable wrinkles in the rug. Not a deal breaker. We placed some leftover laminate flooring boxes on top for a few days and smoothed out the creases, no problem. It looks great and we are happy with it. Not the thickest pile in the world but it fits our needs, style, and budget. Love the colors in this rug. I selected this rug for our dining room and it is the perfect color and size. It laid down perfectly and looks great! Very good quality - we are pleased with this purchase. This rug seems to be good quality, however we haven’t had it very long. It is soft underfoot and we are using padding underneath to give it a little squish. The carpet was purchased for my 11 year old daughters room, the wall colors are periwinkle and pink. The color of this carpet matches well-I would say it is more white than an off white/cream. The grey is somewhat subdued and would complement many different decor styles and colors. I bought this rug for my children's playroom, with the thought that it would clean easily and the pattern would help hide potential stains. 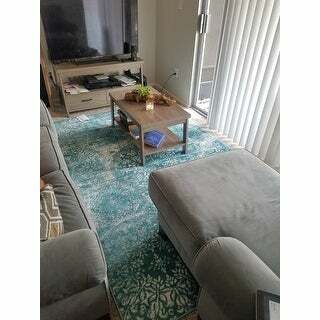 I am overall very impressed by how the quality, softness, and look of the rug. 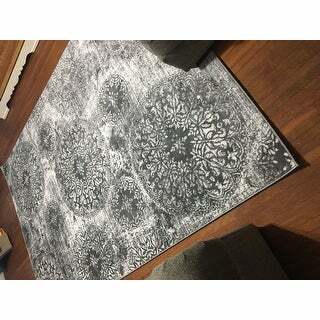 Had I known that there were rugs at this price that looked this good I would've saved myself a lot of money when we bought rugs for our house years ago (all of which were expensive and all of which after kids and dog now need replacing since they are more prone to staining). This rug has Great color! Great rug! 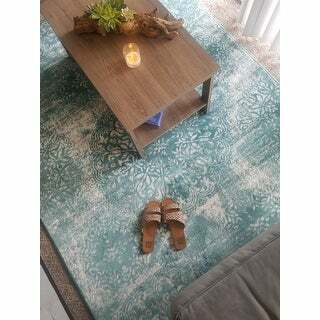 I love this rug I reccommend measure before purchase i just had a lucky guess. My couches appear light blue grey an extremly neutral color so I wanted something to make it pop without having a matching beige rug to blend with my carpet. I also have slight washed wood(but still a bit darker) coffee tables and etc...so its almost like a beachy feel so I got this deep color and it makes everything pop! Its soft and the designs look particularly even more great in pics. I got a 5x8 works well in a small space. This rug is in our dining room. It has just enough pattern to accent the space, but does not overwhelm. The gray color is a very warm tone. It lays nice and flat without the edges rolling up. We did get a rug pad to go underneath so that it didn't slip around. Definitely worth it for either a living room or a dining room! Beautiful area rug! I am absolutely in love with it. Nice texture and amazing color! It exceeded my expectations. I want to get one for every room in my house! This rug is soft and a perfect size. The rug was super thin and came folded instead of rolled so the creases were really bad. We ended up returning it and purchased something else. I love this color and pattern! Another great find on Overstock.com! I do wish they had smaller sizes I needed in this same color, but did find a complimentary color in those sizes. the rug is beautiful. it’s a little thinner than i anticipated but for the deal so worth it. will need a good pad for it but overall great. the design doesn’t show well it’s very nice. Absolutely love this area rug! The colors are gorgeous and the quality is great!! The look online, compared to the look in person, is even better! I’ve bought three different ones and will be buying more. The rug comes folded in half then rolled so there's are hard crease down the center which takes a little while to get out. There were also some frays on the carpet, as if it wasn't fully trimmed down. For the price, it's decent. Heads up, it is not plushy in case that is something you are looking for. I got this 5x8 foot rug for my bedroom. I also got the long runner for the hallway that leads to the bedroom. I purchased the yellow. I was hoping it would be just a tinge more on the orange side of yellow, but it is defiantly yellow! The rug is bright, happy and thicker than I thought it would be, which is a nice bonus! I was a bit Leary of the ‘distressed’ look, but it turned out to be much more subtle than in the photos online. I really like this carpet and would encourage anyone to choose it. I love that it comes in so many colors. I am thinking of purchasing one of a different color for my living room! "i'm looking to get the 3'3" x 19'8" runner. does it run true to size?" While the exact dimensions can vary slightly by 1-2 inches in length due to shrinkage, the dimensions provided are very close to exact.